BACK ON THE MARKET & READY TO GO! Oh What a Home! Renovated End Unit Brick Townhome surrounded by space. There is a separate large side yard (perfect for a gardener). You won't be disappointed as you enter through the new decorative front door to the open ceramic tiled foyer area as it leads you to a 21x18 Great Room (includes dining area and living rm) loaded with recessed lighting and beautiful refinished original hardwood flooring. The Seller spared no expense with the selection of the New Designer kitchen w/oak cabinetry, ceramic tiled floor & back splash, recessed lighting, Granite counter tops, All NEW Upgraded Maytag stainless steel appliances: dishwasher, gas range, microwave, refrigerator w/ice & water. There is a deep stainless sink with a sprayer and a breakfast bar area. The open floor plan continues to an oversized Anderson sliding door that allows natural lighting to shine in from the rear covered deck perfect for your summer evenings overlooking a wooded area. The 2nd floor features a large master bedroom with Three closets, ready to be organized your way. 2 additional bedrooms with closets and a hall linen closet. New ceramic tiled bathroom. Finished basement w/ a ceramic tiled floor, recessed lighting and a laundry & utility area. There is a large 21x11 garage w/an interior entry. There is an exterior O/E to the rear parking area. 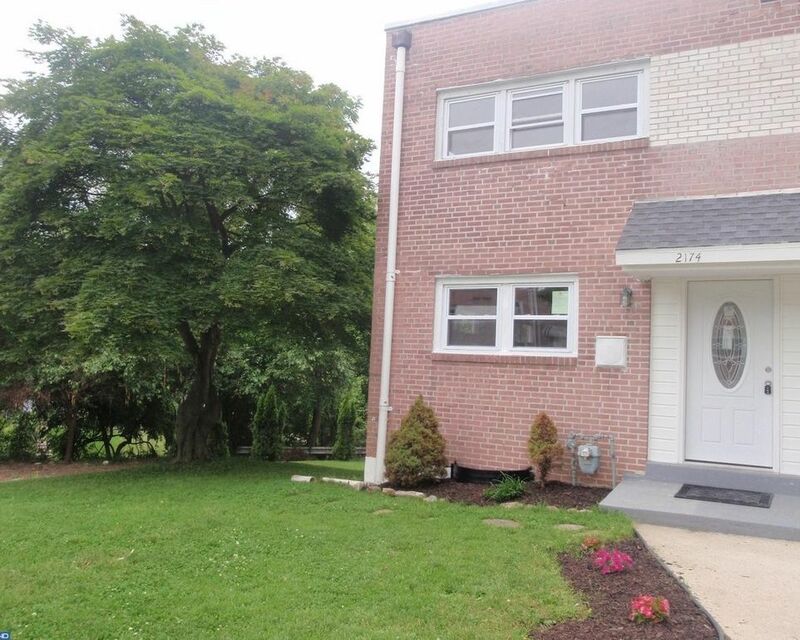 Nice landscaping, conveniently located, close to transportation & nearby shopping center. Minutes from the City & Airport. This is a Winner! Stop Renting & Own a Home for Less! Affordable Taxes! Back on the market after going under contract in less than a week. Inspection & U&O were complete, ready to go! Back due to the buyer unable to secure financing.